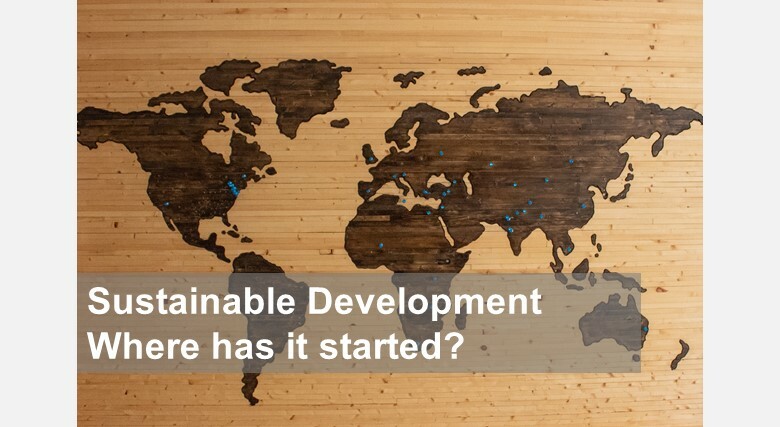 Sustainable Development – Where has it all started? Nowadays, the world is on the mission to achieve the Sustainable Development Goals (SDGs) by 2030 that will put the humanity back on the right track of development and secure the future for the coming generations. But the idea of Sustainable Development is not a new one and it has been introduced more than three decades now. So, where has it all started? The UN Sustainable Development Agenda 2030 and its goals bear much resemblance with the objectives of the 1978 WCED report. It seems that the world has disregarded the report from 1987 as not an urgent call for action and found itself facing the same issues only three decades later. The blame for this neglect should not be placed on any specific nation, let alone a person but apparently what was missed during the period of 30 years and is still missed today is the political will to seriously and responsibly address our common future. There is only one way out and that is the cooperation of all nations on building a sustainable common future for the present generations and the ones that will come. Three years after the adoption of the 17 SDGs, we see a positive update on a global scale. The movement to use the SDGs to tackle all key issues facing humanity with tangible results is growing stronger. We see a global, regional, national unease to turn into a force for change that leaves no one untouched. Private and 3rd sector, entrepreneurs, organised social movements push Governments to take responsibility and leave nothing to chance. It is only through global cooperation that we can secure a sustainable common future for the present generations and the ones that will come.